The fourth edition of the Annual Retreat & Campus took place in Barcelona, the home of the organization's World Secretariat, from 22 to 26 January 2018. The UCLG Retreat is the occasion to harness the power of the local government's global network and continue the work based on the collaboration and achievements of the last few years, as well as increase visibility and impact at all levels. Through five days of intense meetings and discussions UCLG members have work around the UCLG Strategic Priorities 2016-2019 and the 2018 Work Plan. Under the theme "Co-creating equality, peace and sustainability"the week began with an introduction to the UCLG Strategy and Work Plan for 2018 and a special session focused on an All-UCLG Gender Strategy. Several members of the IOPD have participated in the Retreat, and Laura Roth and Adrià Duarte participated on behalf of the Technical Secretariat. Adrià Duarte from the IOPD Secretariat Team participated in the round table on learning that took place on Tuesday the 23rd with Emilio Rabasco of the Commission of Local Economic Development (LED), Puvendra Akkiah of the Commission of Urban Strategic Planning and Jesús Manzano coordinator of the Community of Practice of Digital Cities. Learning as a strategic priority of both the IOPD and UCLG, and during this session, work plans on training and education were presented. 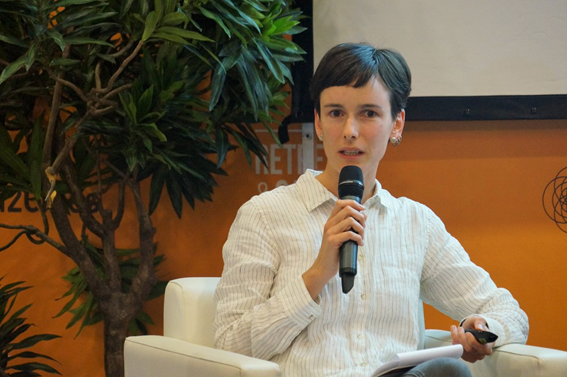 Laura Roth, new member of the IOPD team, presented the IOPD Award "Best Practices in Citizen Participation" in a session on the different UCLG awards: such as Culture, Peace and Urban Innovation of Guanzhou. Ms. Roth presented the origin of the Award, its development and dynamics, as well as the new format for the 2018 edition that will be launched shortly which involves the use of participatory platform Decidim so that members of the network can comment and evaluate the submitted applications. Laura Roth also participated in the GOLD team meetings held on Friday 26, as the IOPD will actively participate in the preparation of the next GOLD report, with the aim of more accurately incorporating the participatory dimension in public policies of local governments.